Ashley Young’s free-kick cannons off the woodwork before Nathan Ake blocked Marcus Rashford’s shot, David Brooks then cleared from Paul Pogba! 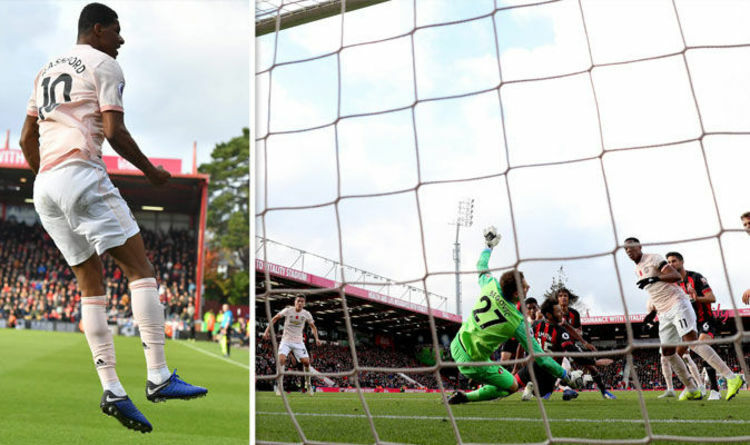 Bournemouth vs Man Utd live: Jose Mourinho does not look impressed with his side's performance (Image: BT Sport) 26 : David Brooks is brought down by Luke Shaw as he looks to get on the end of Ryan Fraser’s cross. The players are out as the Vitality Stadium observe a minute’s silence to pay their respects for Remembrance Sunday and last weekend’s tragic helicopter crash at Leicester. David de Gea has kept just one clean sheet in United's opening ten Premier League matches (Image: GETTY)Mourinho seems relaxed in his pre-match press conference with BT Sport. The United boss told BT Sport: ”In training yesterday, after the press conference, he felt something that needs to be studied in the next couple of days. Man United : De Gea; Young, Lindelof, Smalling, Shaw; Matic, Fred, Pogba; Mata, Alexis, Martial.